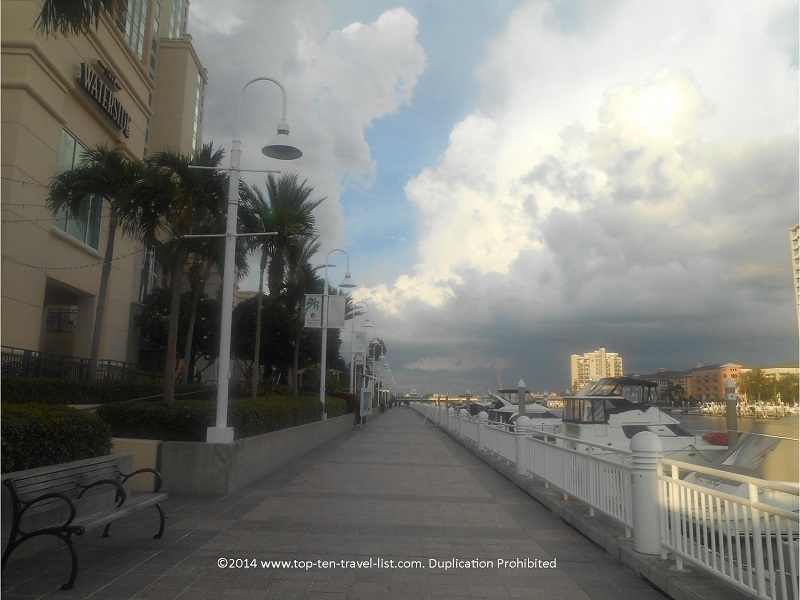 The Tampa Riverwalk - Top Ten Travel Blog | Our experiences traveling throughout the US. 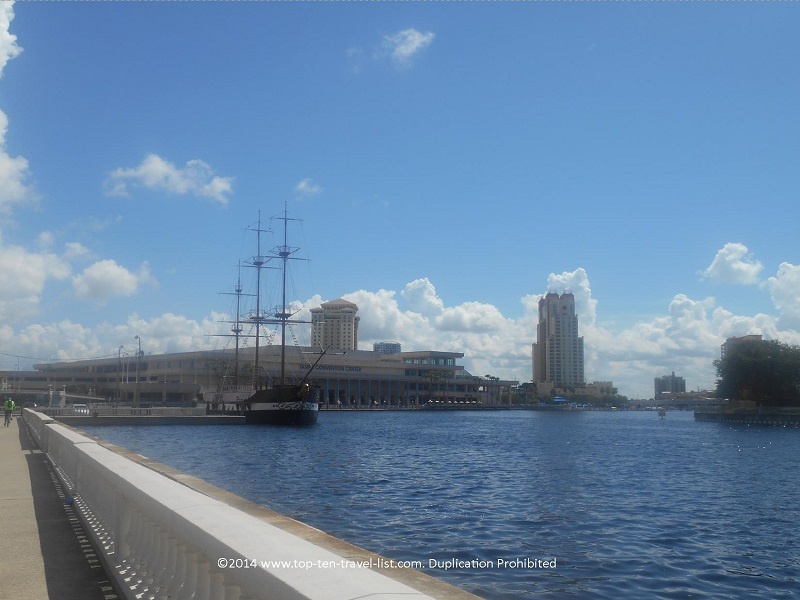 A relaxing stroll around Downtown Tampa’s 2 mile Riverwalk is the perfect opportunity to take in all the major sights of Tampa. 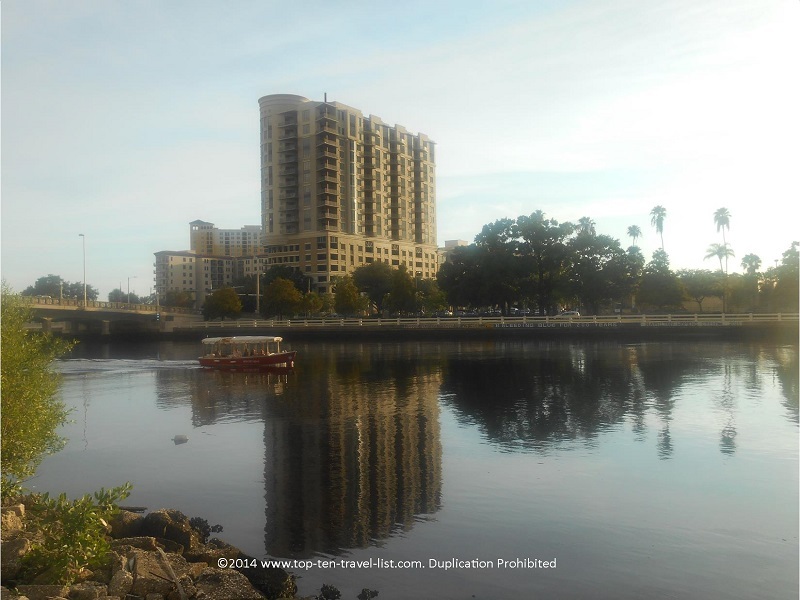 The quiet pedestrian path follows the beautiful Hillsborough River. Along the way, you will pass many of Tampa’s top attractions, along with opportunities for dining, shopping, and various waterfront activities. 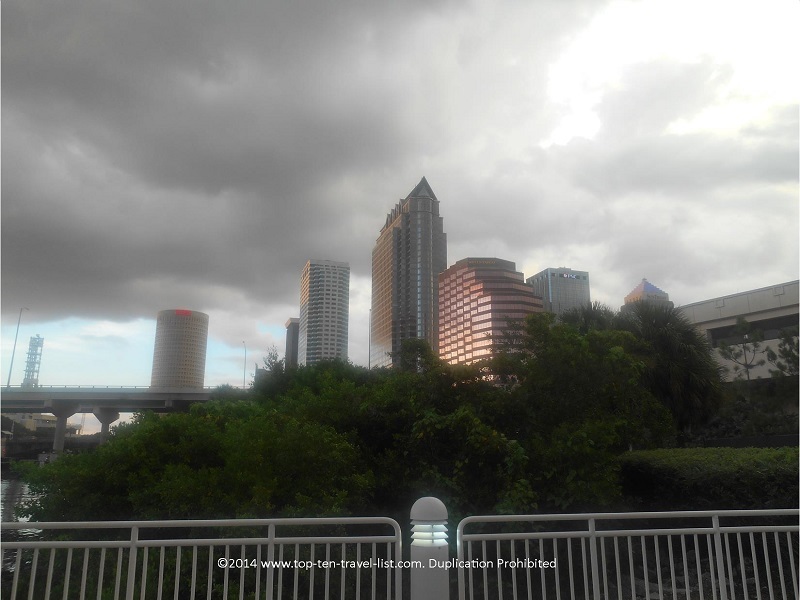 The Riverwalk is one of the best places in Tampa to take in views of the skyline and river. Whether you decide to walk or bike, either way you will enjoy smooth, flat path. The setting is beautiful – very maintained and nicely landscaped. Views of the river make it a great place for a morning run or evening stroll. The path is almost never overcrowded, unless there is a major event taking place. A lazy round trip stroll along the river provides many great photography opportunities. Views of the skyline are fantastic, especially on a stormy summer evening. 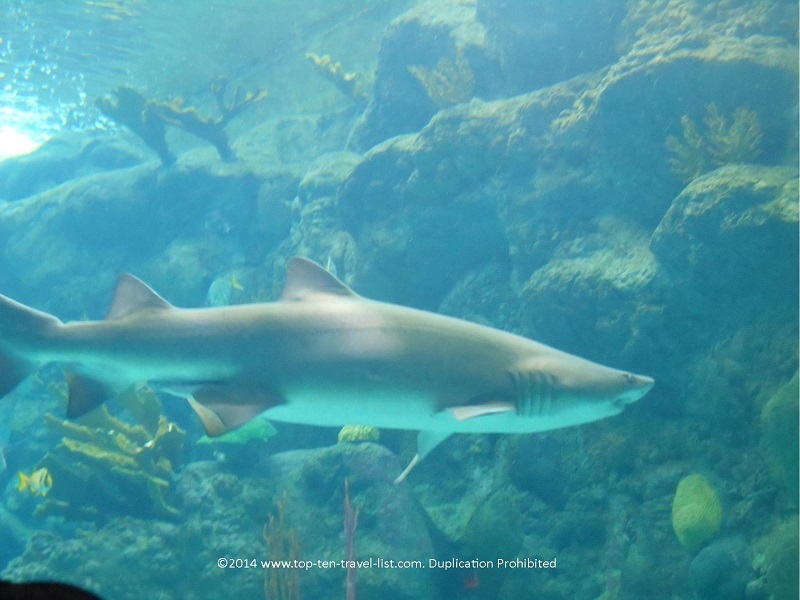 Tampa’s highly regarded aquarium features over 200,000 various forms of sea life. A 500,000 Coral Reef Exhibit features tiger sharks, giant turtles, and hundreds of other interesting forms of sea life is the shining centerpiece. Certified divers can even take a dive with the sharks! A fantastic aquarium with colorful exhibits, a nice layout, and a beautiful outdoor Wetlands Trail. 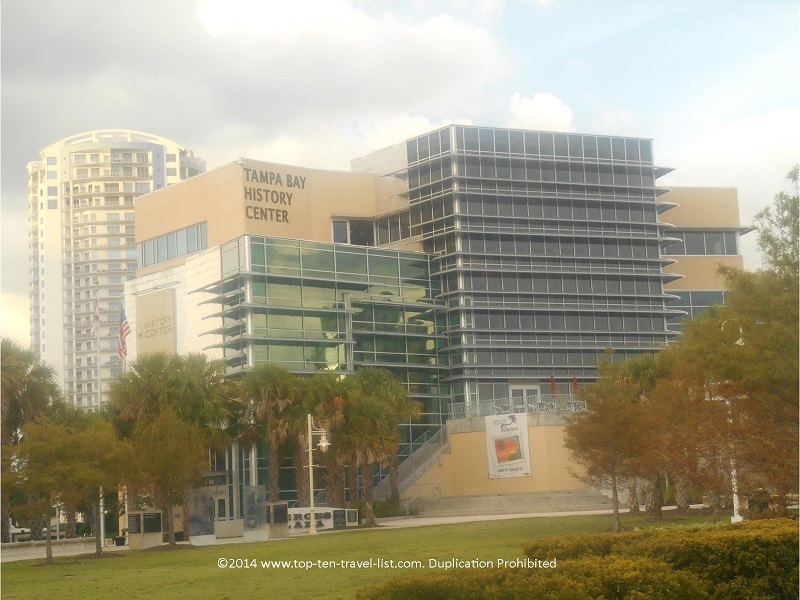 Tampa’s top notch history museum features 3 floors of exhibits dedicated to Florida history, including an exhibit detailing the first inhabitants of Tampa and information on Tampa’s cigar history. Be sure to stop for a lunch at Columbia’s, frequently rated as one of the best Spanish restaurants in the world. 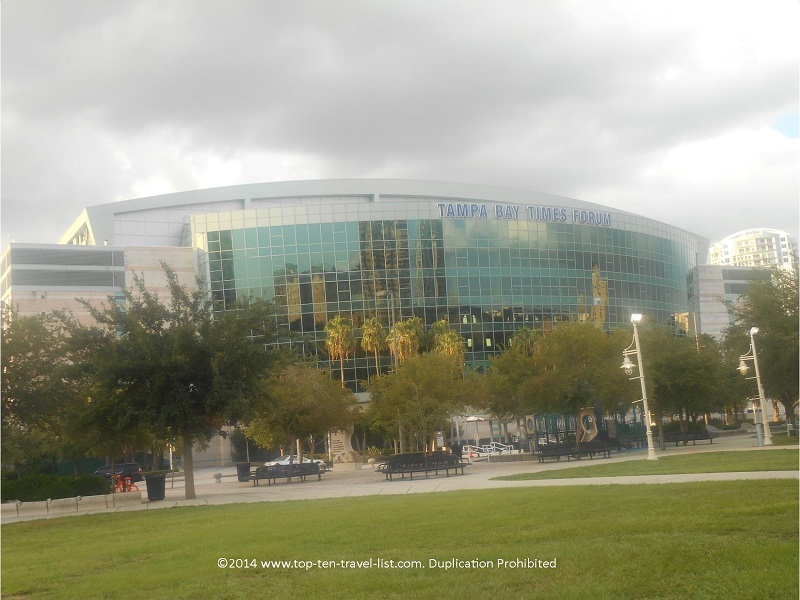 Tampa’s event center is most famous for being home to the Tampa Bay Lighting, the city’s hockey team. In addition, The Times Forum hosts various musical acts and shows such as Disney on Ice. 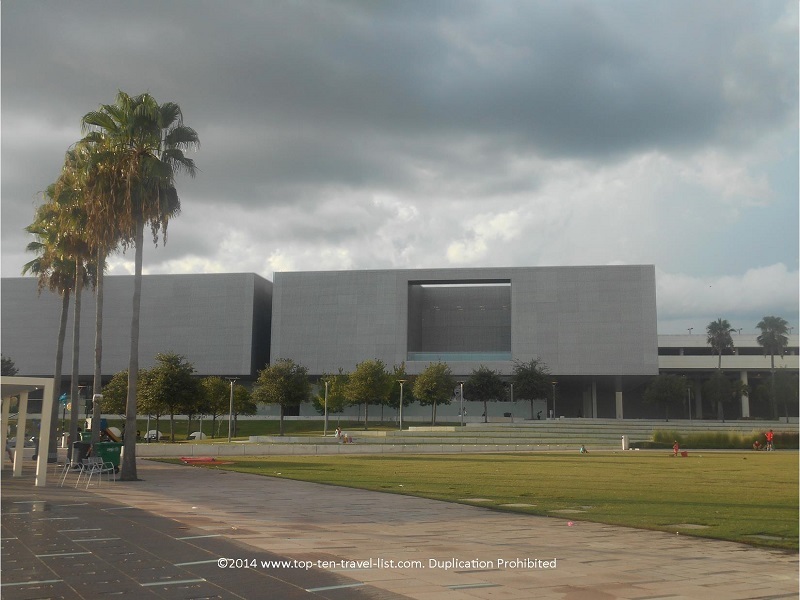 This Tampa museum dedicated to the art of photography is located on the second and third floors of Tampa’s modern downtown Cube building. This small museum only takes an hour at most to browse around, and is therefore easy to incorporate into an evening out in Tampa. 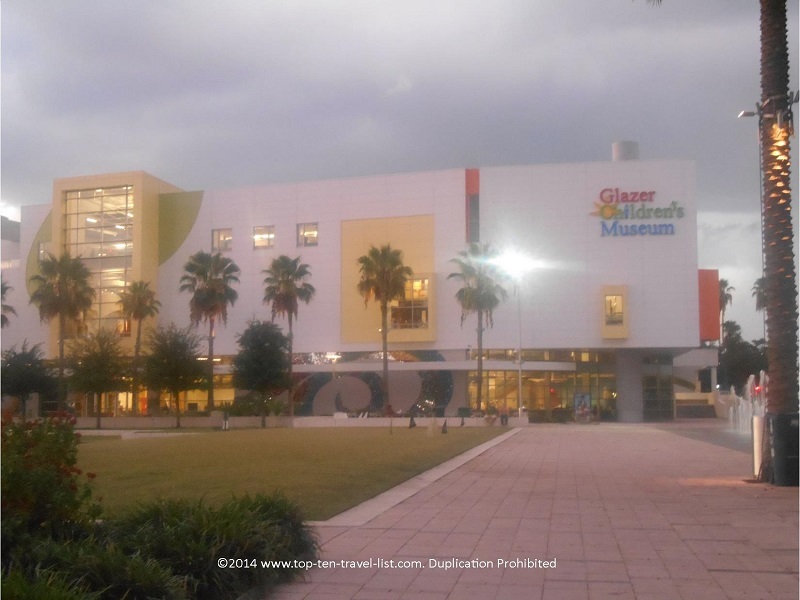 Tampa’s children museum is located right next to the Museum of Art. 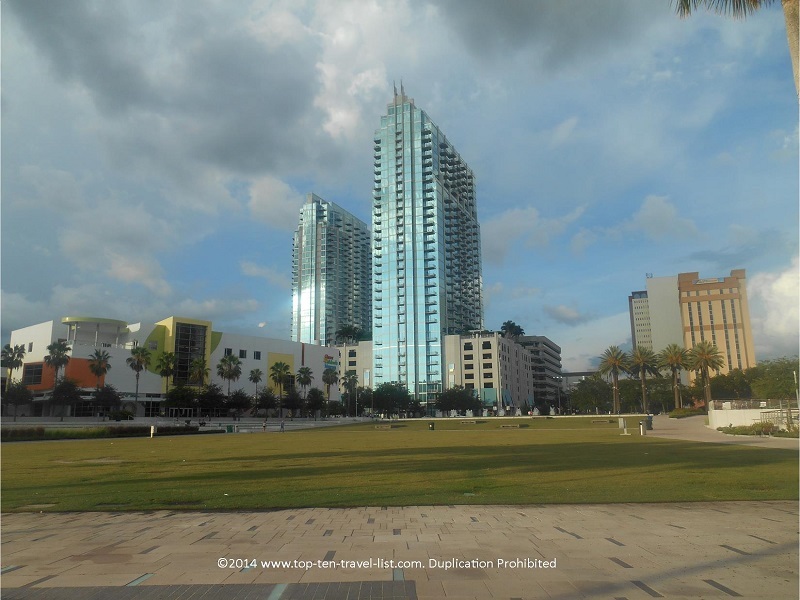 It’s attractive location on the waterfront next to Curtis Hixon Park makes it a great choice for a fun family afternoon out. Here you will find plenty of educational, interactive exhibits for the kids and a nice waterfront park setting for the adults. 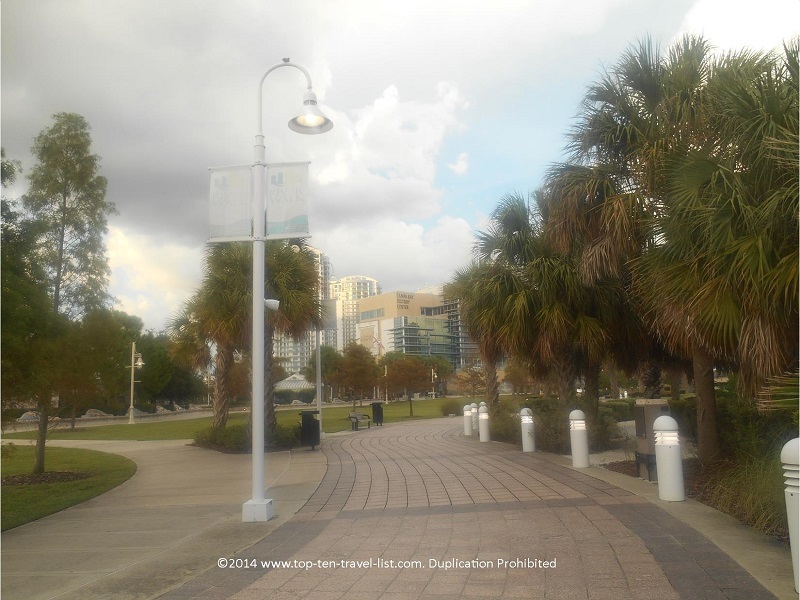 Tampa’s waterfront park is home to numerous ongoing and yearly events, including: free yoga on Sunday evenings, a winter skate rink, and the Tampa Bay Seafood Festival. The park is a great spot to take in views of the city skyline. Take a break, relax, and enjoy the views! Tampa’s downtown art museum features a small collection of modern art and Roman/Greek artifacts. Special exhibitions showcase throughout the year. The new building features a beautiful multi million dollar contemporary design. Tampa’s premier performance venue hosts several Broadway productions each year including upcoming 2014 performances of Cinderella and Dirty Dancing. The lineup also includes concerts, plays, and comedic performances. 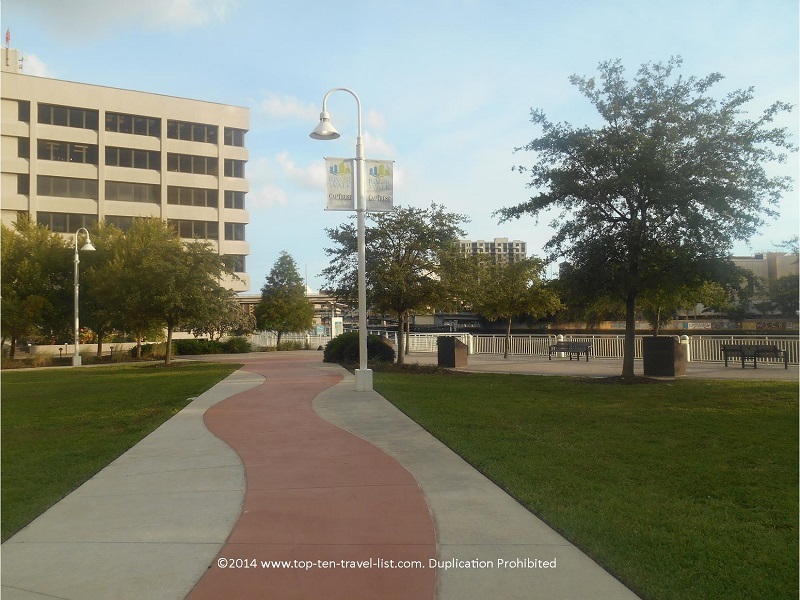 In addition to the attractions listed above, there are numerous opportunities for shopping and waterfront entertainment located along the Riverwalk. 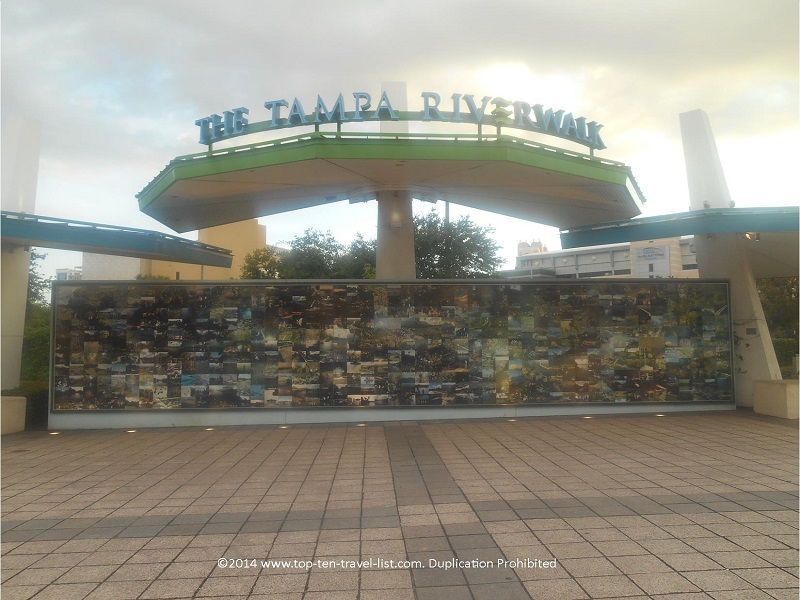 Here are a few of the top activities located on Tampa’s Riverwalk. A unique way to experience Tampa by boat, eBoats provide a peaceful waterfront experience with picturesque views of the river and skyline. These silent electric powered boat rentals are available by the hour to tourists and locals seeking a relaxing time off their feet. 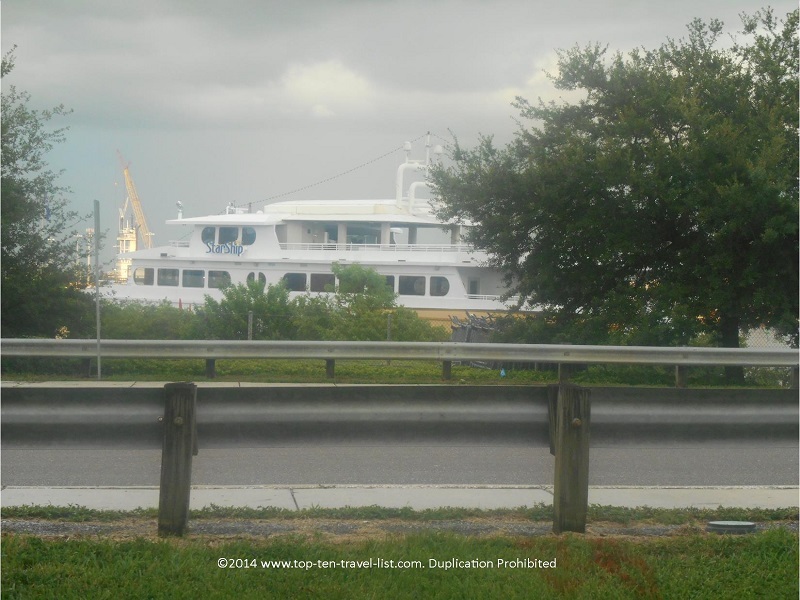 The Yacht Starship offers several daytime and evening dining cruises in the Tampa Bay area, including: Clearwater, St. Petersburg, and downtown Tampa. 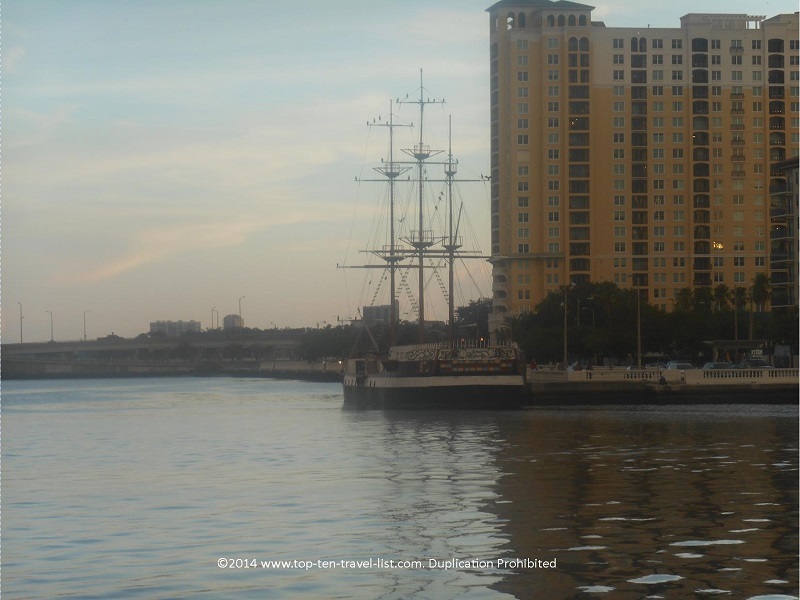 The 2 hour Tampa cruise features an elegant 3 course dinner menu selection and full bar (drinks are an additional charge), along with live entertainment. Enjoy fabulous views of the river, great views of the city, and an occasional dolphin sighting! This Tampa dining, entertainment, and shopping complex is conveniently located next to The Florida Aquarium. During the summer months be sure to catch the special Saturday fireworks presentation. Take a tour or rent your own paddleboard by the hour. Enjoy great views of the river while also getting in a fabulous workout! Visit the Urban Kai website to book your class. 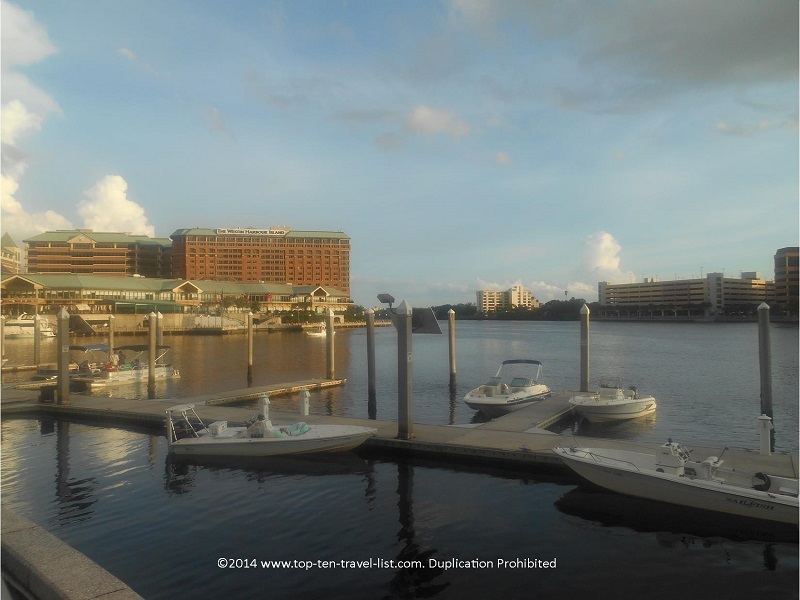 There are a handful of hotels located on the RiverWalk: The Sheraton Riverwalk, Marriott Waterside Hotel, Embassy Suites Tampa, Howard Johnson Plaza Downtown, and Westin Tampa Harbour Island. In addition to fabulous views, each property offers numerous amenities including: on site dining, pools and fitness centers, and convenient access to the RiverWalk and surrounding Tampa attractions. 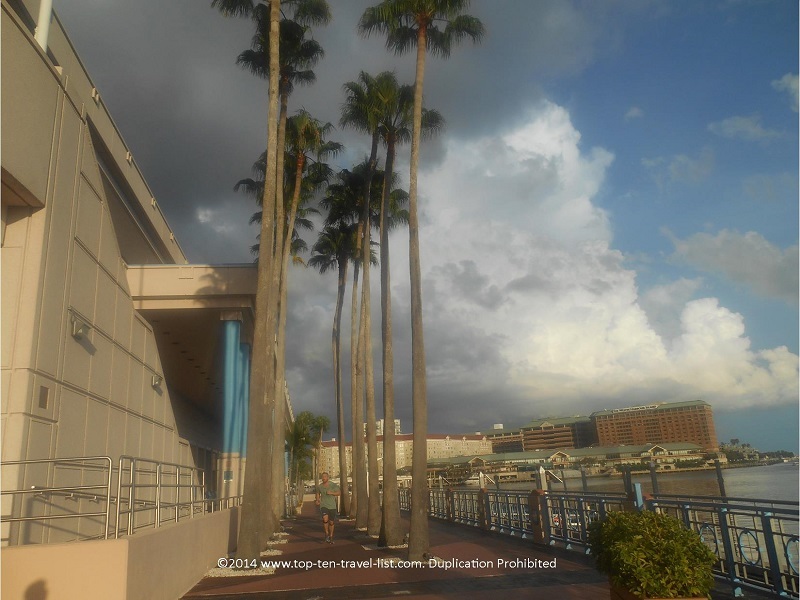 You can begin your walk near the Straz Center for Performing Arts located at: 1010 N Wc Macinnes Pl, Tampa, FL 33602. Parking is available at various parking garages or along the side streets. Parking meters located north of Kennedy Blvd. are free after 6pm on weekdays and all day on weekends!